Steve was surrounded by his family and passed in his loving wife’s arms on March 18, 2019. Steven Louis Zwarych was born on January 28, 1942 to Walter and Elsie (Danko) Zwarych in Rose Valley, Saskatchewan. He attended the Nora School until he began farming at the age of 16. Steve and Walter farmed together on their mixed grain farm and raised polled Herefords. Steve went away to work in both Thompson and Hudson Bay and determined his passion was for farming. He proudly purchased his own land in 1962, and eventually purchased and took over the family farm. In 1968, Steve married the love of his life, Alvina Patricia Yaworski. They were blessed with three children, eight grandchildren and one great grandchild; his oldest son Darren (Juliette) and their children, Alicia (Colby) and Marcus Steven Parker (Steve and Alvina’s first great grandchild born March 13, 2019), Chelsey (Curtis) and Brandon, daughter DonnaLynn (Jim) and their children Braden and Brianna-Lynn, and son Dennis (Angie) and their children Taylor, Teryn and Trey. Steve was proud of his children and enjoyed his grandchildren, saying they were all his #1. He looked forward to his first great grandchild and was thrilled to hear his name when he was born. Steve was predeceased by his mother and father, his youngest brother, as well as a niece and two nephews. He is also survived by his two brothers and one sister. 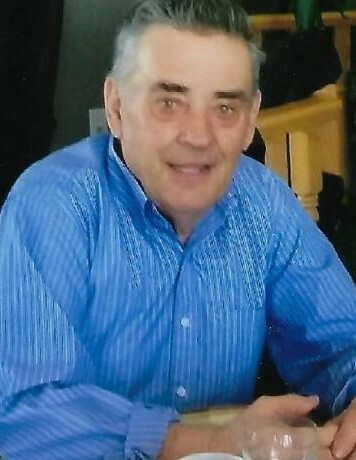 Donations in Steve's memory may be made to the Saint Mary's Ukrainian Catholic Cemetery or to a charity of one's choice.